Gauteng's chief prosecutor and a DA MP are two of the names on the shortlist of candidates for the position of National Director of Public Prosecutions. News24 has reliably learnt that Andrew Chauke, the South Gauteng Director of Public Prosecutions, and Glynnis Breytenbach, a former prosecutor, are both in the running for the position. 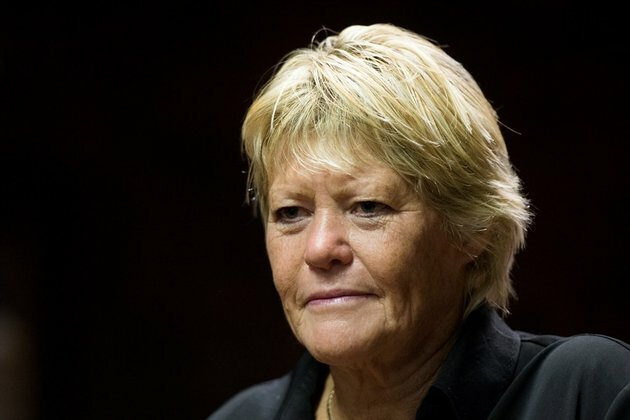 Other names in the mix, which have not been confirmed as being on the shortlist are: advocate Andrea Johnson - who was advocate Gerrie Nel's co-prosecutor in the State's case against convicted murderer Oscar Pistorius - Western Cape Director of Public Prosecutions Rodney de Kock, as well as two retired judges. An advisory panel appointed by President Cyril Ramaphosa and headed by Energy Minister Jeff Radebe has been driving the process to select the top prosecutor. Shortlisting and interviews were scheduled to begin on Monday this week and be completed by November 23. The Presidency has said that the interview process will not be public. Instead, the candidates will be vetted by the panel and three names will be forwarded to the President. It remains Ramaphosa's discretion as to who to appoint to head the troubled National Prosecuting Authority. The panel is to complete its work within a time frame that allows Ramaphosa to comply with a deadline set by the Constitutional Court to appoint a new NPA head. The court gave Ramaphosa 90 court days after making its ruling on August 13. At the time, the highest court in the land ruled that the appointment of Shaun Abrahams as NPA head was unconstitutional and invalid. Both Breytenbach and Chauke have declined to confirm whether or not they have been notified that they are on the shortlist. "Good afternoon. I appreciate your enquiry, but I prefer not to engage in discussions about the process. Thank you for your understanding. Regards," Chauke said in a text message to News24. Some in legal circles have raised concerns about Chauke's potential appointment. They have raised two potential issues. In 2012, Chauke made a decision to provisionally withdraw murder and related charges against then head of Crime Intelligence Richard Mdluli, in relation to a 1999 murder of Oupa Ramogibe. Civil organisation Freedom Under Law took the matter to court and, ultimately, the Supreme Court of Appeal overturned a decision by the High Court that the murder charges should be reinstated against Mdluli. Instead, the SCA essentially gave Chauke two months to decide which charges to reinstate. He decided Mdluli would face kidnapping, intimidation and assault charges, instead of murder. The Mdluli case was extremely divisive within the NPA, causing a rift between two factions within the organisation. Chauke also courted controversy when Glenn Agliotti alleged in a sworn affidavit that he had been paid money by the Kebble family. It was claimed that Chauke had been bribed with cash and a set of golf clubs to issue an arrest warrant against a business rival of the Kebbles. He was the head of the Specialised Commercial Crimes Unit at the time, however the allegations were never tested in court. Last year, in a response to a question from the DA in Parliament, Justice Minister Michael Masutha provided some clarity on the matter. He was asked by DA MP Werner Horn if Chauke had declared the set of golf clubs he had received from Kebble. In the reply, Masutha said: "I've been informed that Chauke denied allegations that he had received any presents, including the golf clubs and bags, from Mr Brett Kebble and, in fact, he said that he had never met Mr Kebble". Breytenbach is a career prosecutor who was a member of the Specialised Commercial Crimes Unit and dealt with high profile cases. She was suspended from the NPA, ostensibly for her handling of a complex mining rights case involving Kumba Iron Ore and Imperial Crown Trading. However, she has always insisted that she was pushed out because of her insistence in prosecuting Richard Mdluli for corruption and fraud. She claimed that now suspended deputy NPA head Nomgcobo Jiba and senior prosecutor Lawrence Mrwebi were behind her suspension. Breytenbach was cleared of all charges against her, but she left the NPA and joined the DA, subsequently becoming an MP. Her appointment as the head of the NPA may be seen as problematic because of the contentious nature of her suspension, however she is considered highly experienced.